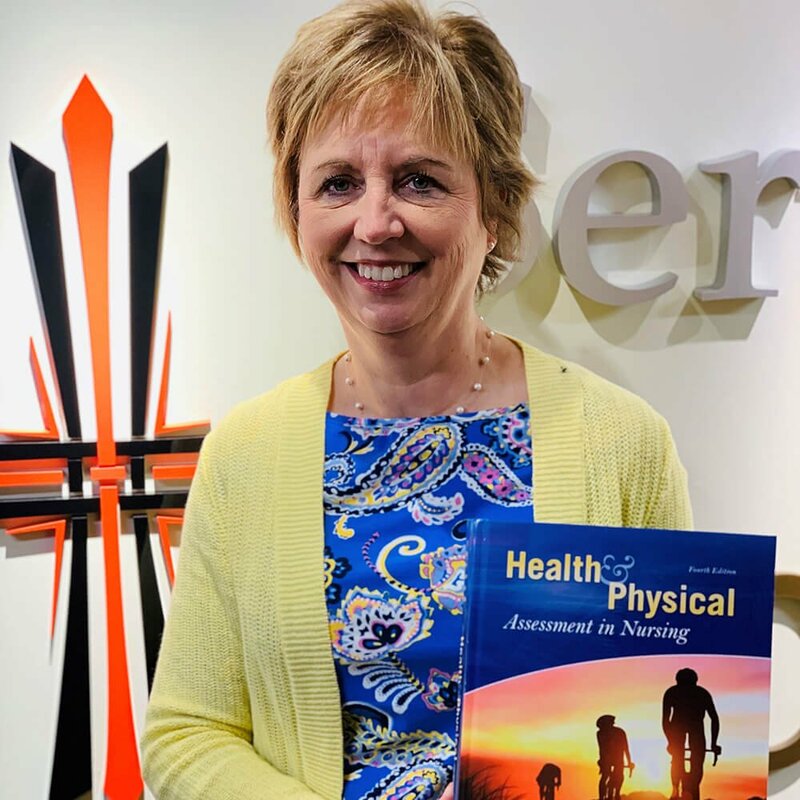 Following a three-year writing effort, the fourth volume of the Pearson-published “Health and Physical Assessment in Nursing” dropped last month with Fenske credited as lead author on the text. The editor-in-chief of Pearson—the global education giant that’s known mainly for its publishing—approached Fenske four years ago to ask her to take lead on writing and adapting the textbook. 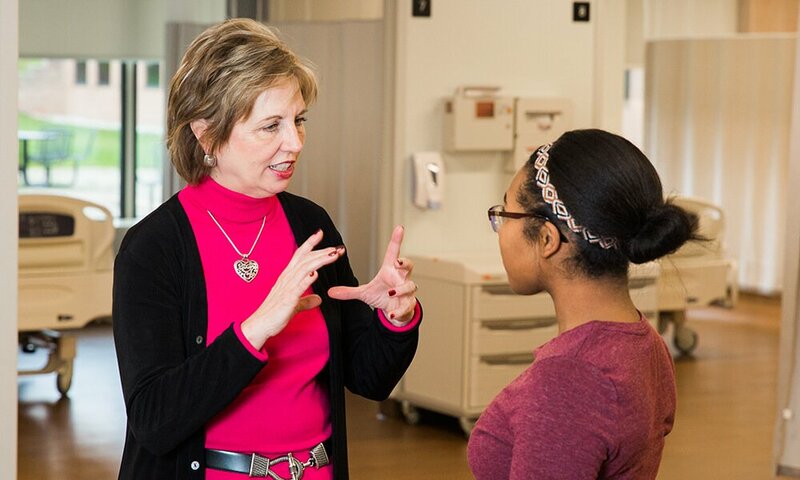 The first three volumes, which were authored by Donita D’Amico and Colleen Barbarito, have already been used by a significant number of nursing schools throughout the nation, and Fenske expects the fourth installment will likewise be widely received. Nearly every nursing school has a health assessment class that’s required for beginning-level students, explains Fenske. The Health and Physical Assessment textbook is used to teach students how to take health histories and perform head-to-toe exams. Fenske’s edition is designed specifically to train pre-licensure nursing students in the knowledge and exam techniques needed to care for patients as an RN. Instructional demonstration videos were created as an additional feature to enhance student abilities in how to perform each of the physical examinations. Scenes for the instructional videos were shot on Concordia’s campus and prominently feature Fenske and CUAA Simulation Education Specialist Joe Yaksich, as well as Concordia students acting as patients. After close to 30 years of teaching the subject matter, Fenske has amassed a significant amount of knowledge and insight on the subject area.